When you fix, you save items from going to landfill, AND you save yourself from wasting money on unnecessary replacements. If you&apos;ve been inspired to &apos;fix for your pocket&apos; then we have a simple money-saving mantra to help you stay focused: &apos;don&apos;t rebuy, just reuse.&apos; To help inspire you with more ways to fix, reuse, reduce and save we asked some our favourite experts in minimalism, sustainability and frugality for their tips. Sheri is passionate about living fashionably and sustainably. She shares her DIY tips and style advice to help inspire others to seek out an alternative to wasteful fashion. See some of her fantastic work over on her blog. Confession of a Refashionista&apos;s top money-saving tip - Start with what you own. Reusing, refashioning and upcycling preloved items as well as those forgotten bits we already have stored away in our homes not only saves money but is also a fabulous way to start living more sustainably. Absolutely anyone can become an awesome DIY eco-fashion upcycling warrior by simply sorting through their wardrobes, shopping at thrift & charity shops and creating their own fabulous, affordable, totally unique style. Katie hasn&apos;t bought an item that was new in over ten years. As the non-consumer advocate she inspires a passionate community with her tips to reduce wasteful spending and environmental impact. The Non-Consumer Advocate&apos;s top money-saving tip - Resourceful repurposing can replace wasteful purchasing. 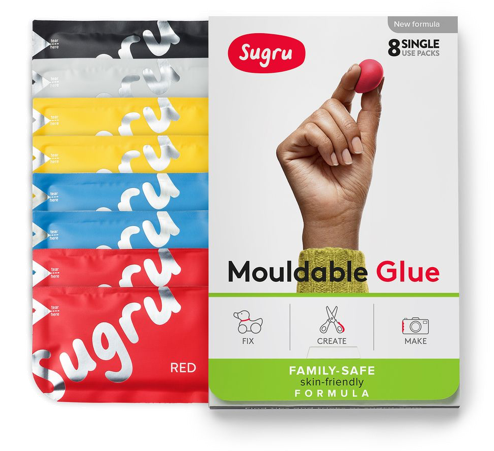 "Use it up, wear it out, make it do or do without” which pairs quite nicely with Sugru, as this product can extend the life of household products. For example, my beloved purse had worn through on the bottom corners, but a blob of the black Sugru fixed it! These purses sell for $148 apiece, so I was 1000% pleased to find such an easy and quick solution. (The hardest part of the project was waiting the 24 hours to start using my purse again!)" From her blog, Gypsy Soul, Gina provides advice on Zero Waste, minimalism, green living, wellbeing & thrift to help inspire readers to lead happier, healthier lives. Gypsy Soul&apos;s top money-saving tip - Resourceful repurposing can replace wasteful purchasing. "My one tip for being more resourceful would be to do your research. If you have an item that is coming to the end of its shelf life do some research to find out what else you could use it for. Lots of items in the home can be reused for a different purpose. For example, old or unwanted cutlery can be used as draw handles. An old tea chest can be used as a laundry hamper. Tin cans make great plant pots. Pallets can become garden seating; the list is endless." In her own words Kristen, aka &apos;The Frugal Girl&apos; is &apos;passionate about green living, food waste, mindful spending, and buying super high-quality stuff that lasts.&apos; So naturally, we&apos;re big fans. The Frugal Girl&apos;s top money-saving tip - Think upcycle and repair before rubbish. "Before you throw something away, do a Google search to see if someone has figured out a way to mend/repair/upcycle the item. It only takes a few seconds, and you might save yourself from having to buy something new!" Jane helps teach people that by making the most of what we have day-to-day we can afford to enjoy the things we love. Check her out at Shoestring Cottage. Shoestring Cottage&apos;s top money-saving tip - Think reuse first. If you need a new gizmo, gadget, piece of furniture or car, try to buy second hand. Make this your default position. Lizzie is a thrifter, forager, lover of pretty things who shares her day-to-day advice on her blog. Miss Lizzie&apos;s top money-saving tip - Mix it up. "My top tip would be to embrace an eclectic style in your home, so you can mix and match pre-loved items from charity shops and boot sales rather than having to buy complete looks from the High Street." For our favourite tips to fix for your pocket check out this guide to upcycle, hack, repair and recycle your way to savings.